Rabindranath Tagore was born on 7th May 1861, to Debendranath Tagore and Sarada Devi. He was the youngest child of his parents and grew up in a household of fourteen children. Rabindranath wrote poems for the first time when he was only eight years old. He left his hometown, Calcutta, with his father in February 1873, on a tour of the Indian subcontinent. 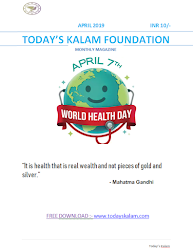 It was in the Himalayan hill station of Dalhousie that Rabindranath Tagore came across biographies and started studying history, astronomy, modern science and Sanskrit. During that time, he also started reading the classical poetry of Kalidasa. In the year 1877, Rabindranath published his first substantial poetry, under the pseudonym Bhanushingho. He also wrote the short story, Bhikharini, in 1877 and the poem collection, Sandhya Sangit, in 1882. Tagore went to England in 1878 to become a Barrister and enrolled himself at a public school in Brighton. Later, he studied at University College London. However, he came back to Bengal in 1880 and in 1883, he married Mrinalini Devi. In 1901, Tagore founded an ashram at Santiniketan (West Bengal), where he lost his wife and two of his four children. In the meantime, his works started growing more and more popular amongst the Bengali as well as the foreign readers. In 1913, Rabindranath Tagore won the Nobel Prize in Literature, becoming Asia's first Nobel laureate. In 1915, he received knighthood from the British Crown. Tagore founded the Institute for Rural Reconstruction in 1921, along with Leonard Elmhirst, an agricultural economist. Rabindranath Tagore took up drawing and painting when he was around sixty years old. His paintings were displayed in exhibitions organized throughout Europe. The style of Tagore had certain peculiarities in aesthetics and coloring schemes, which distinguished it from those of the other artists. He was also influenced by the craftwork of the Malanggan people belonging to the northern New Ireland, Haida carvings from the west coast of Canada and woodcuts by Max Pechstein. Rabindranath Tagore spent the last four years of his life in constant pain and was bogged down by two long bouts of illness. In 1937, he went into a comatose condition, which relapsed after a period of three years. However, the works composed by Rabindranath Tagore during this time period comprise of his finest ones. 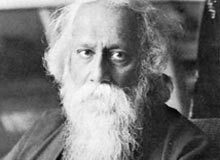 After an extended period of suffering, Tagore died on 7th August 1941 in the same Jorasanko mansion in which he was brought up.